Rock legends Queen are planning a right royal spectacular when they tour Britain later this year. With American Idol runner-up Adam Lambert again taking the frontman role, there is the promise of surprises in store on the band's first full UK tour in almost three years. 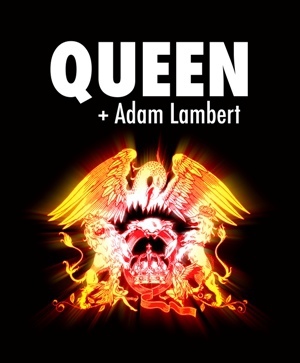 The dates, which include shows at Birmingham's Barclaycard Arena on November 30 and December 16, will feature a specially designed state-of-the-art production with the choice of set list no doubt acknowledging this year's 40th anniversary of Queen's biggest-selling studio album to date, News of the World, which yielded the anthems We Will Rock You and We Are the Champions. Drummer and co-founder Roger Taylor says the 2017 tour will look entirely different to the shows taken around before. ''Production has really changed a lot, the things you can do now, you have a much broader palette, the technology has really come along. But we don't use it all. We don't play to click track. It's 100 per cent live. We're planning on doing stuff we either haven't done before or haven't done for a long time. We started as an albums band, that's what we were. The fact that we had hits was just a by-product." Guitarist Brian May confirms Queen's 2017 shows will have a more ambitious musical agenda. "The general public knows the hits, so you've got to cater for that," he says, "but we can chuck in a few things that people really don't expect. We'll do quite a bit more of that this time around. There are so many dimensions to Adam, which of course fits with our music. He can get down and do the rock stuff really dirty, and you have all those dimensions, and we can explore that even more." Adam Lambert welcomes the challenge of digging deeper into the band's canon of classics. "What people should know if they came to the shows a couple of years back, is obviously we will still be playing the big hit songs you know and love from Queen, but we thought it would be good to challenge ourselves a bit," he explains. "Change it up a little bit, change the visuals, change all the technology, change the set list to some degree. We will probably be pulling some other songs out of the Queen catalogue which we haven't done before, which I am very excited about." The new production is set to include over 300 moving lights and some eye-popping laser effects. On the musical side, the Queen & Adam Lambert touring band features Spike Edney on keyboards, Neil Fairclough on bass and Tyler Warren on percussion. Since first sharing the stage for the American Idol final in May 2009, Queen & Adam Lambert have proved to be a hugely successful global partnership, having now played more than 90 shows around the world. In summer 2012 they played their first full live shows across Europe, making their spectacular official debut in front of half a million people in Kiev. When Queen & Adam Lambert played their first North American tour in 2014 they were crowned Band of the Year at the 10th annual Classic Rock Roll of Honour awards and Best Live Band of the Year in Ultimate Classic Rock's reader's poll. This tour was followed in 2014 with massive summer festivals in South Korea and Japan and a sold out arena tour of Australia and New Zealand. 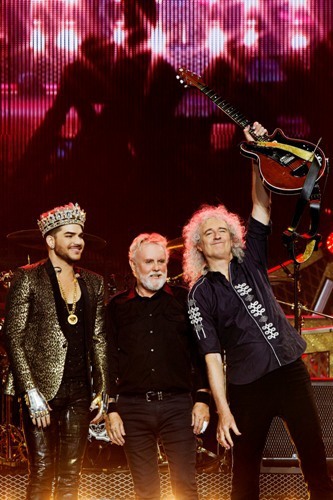 In 2015 there were 24 sold-out dates in 10 countries across Europe, a return visit for Queen, this time with Adam, to South America, to headline Brazil's Rock in Rio and perform in Argentina, as well playing Chile. Summer 2016 saw the band headline 15 more European festival shows, beginning with Portugal's Rock in Rio Lisbon where they played to 74,000 people on the opening night, followed by an extensive arena tour across Asia including three nights at Tokyo's famed Budokan. Before the 2017 European dates Queen & Adam Lambert with complete a 25-city North American arena tour which kicks off on June 23 in Phoenix, Arizona. The earlier leg of the Europe 2017 dates sees the band open their tour in Prague, Czech Republic on November 1. December 15: SSE Arena, Wembley, London. Why? A right royal show!